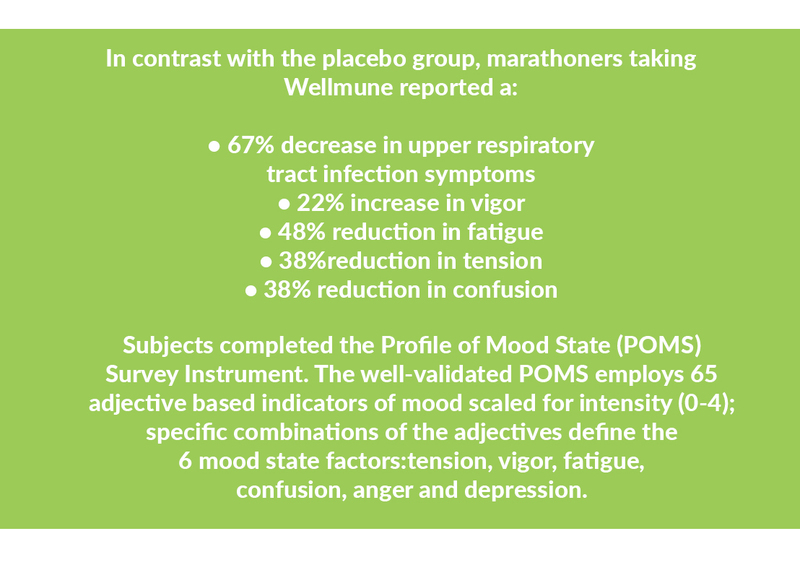 Wellmune increased vigor and mental clarity while reducing fatigue and upper respiratory tract infection (URTI) symptoms in marathon runners.Thedouble-blind,placebo-controlledstudyincluded 75 marathon runners (35 men, 40 women) ages 18-53 (mean age 36 years) who were recruited at the 2007 Carlsbad Marathon in California. 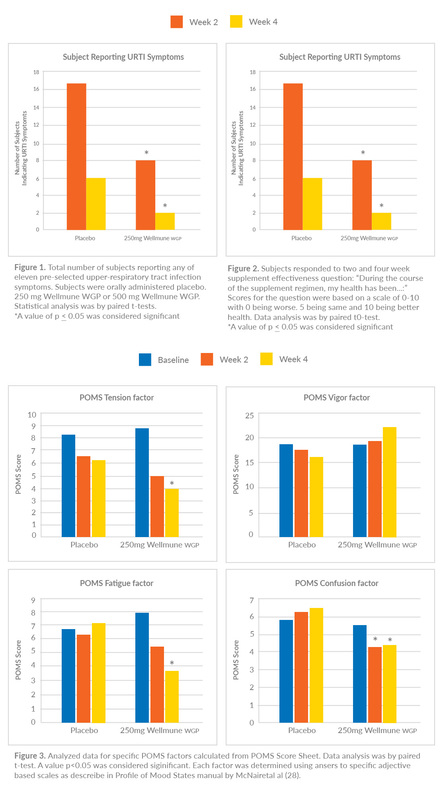 Subjects were treated daily with Wellmune wgp, a natural carbohydrate that activates key immune cells to more quickly recognize and kill foreign challenges, or a placebo for four weeks. 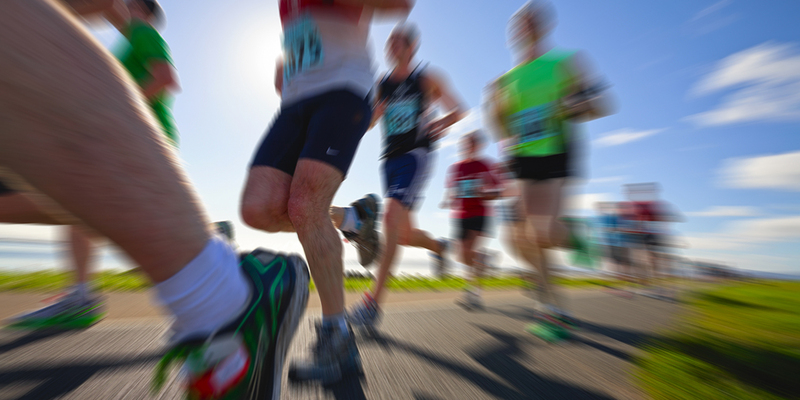 “Effect of Beta 1, 3/1, 6 Glucan on Upper Respiratory Tract Infection Symptoms and Mood State in Marathon Athletes.” Journal of Sports Science and Medicine (2009). 8:509-515.